Garland style Christmas lights are some of the easiest ways to add flair to your holiday decorating without having to buy a whole lot of different decorations to hang around the house or the tree. I used to have a few strands that I loved but my new kitten got into them and it turns out he really likes to chew wire so they are now in the trash. Bummer. My workplace always decorates for every holiday, even as I type this there are currently a bunch of cut out glittered snowflakes and snowmen starting to cover the wall – and it is even past Thanksgiving yet!! Guess that means my coworkers agree that you can decorate for Christmas starting right after Halloween! Click for more Light Options! 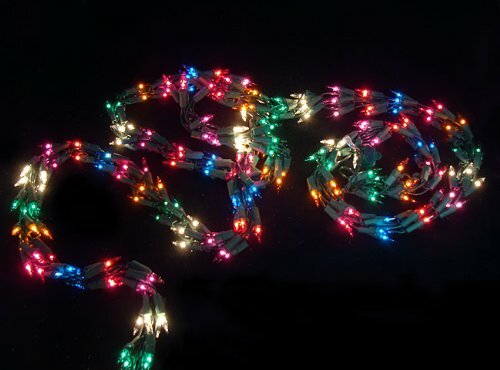 One thing I find great about this style of string Xmas lights is that they are often subtle enough to represent the entire winter season especially if you get them with the soft white lights. Then you can hang them up for Thanksgiving thru Christmas without there being any clash in the holiday decorating. In order to try and match your decorating style, I have chosen a few lights that have some different looks so that you can use one or all of them throughout your decor. 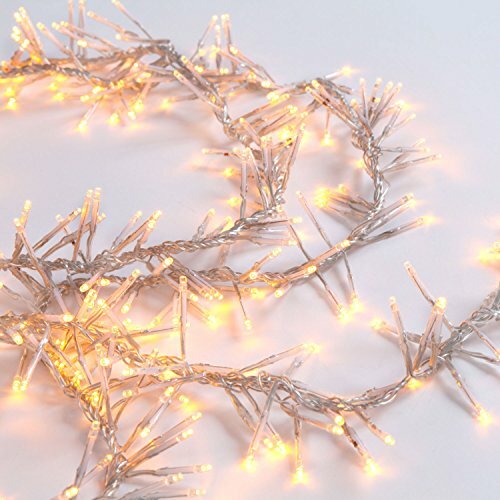 I have found three very different types of garland lights which can add some uniqueness to your decorating. Want something bright and flashy on the outside? 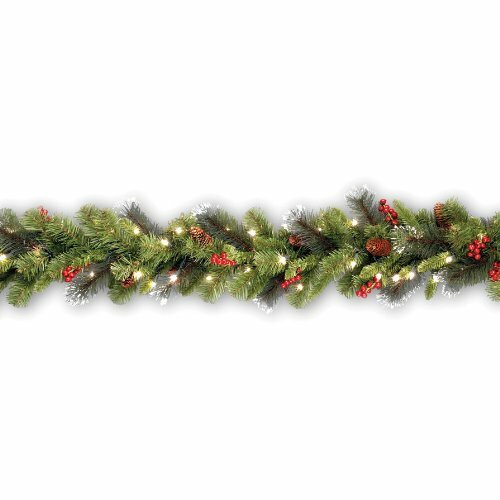 Then the garland style multicolor lights would be perfect while on the other than the beautiful green garland with a soft glow would look fantastic over a stair railing or along a mantle. Of course you could always switch it up. Wrap the garland like string around the door and put the colorful lights along the inside of the house to help you, your family, and loved ones feel the cheer. I still haven’t quite decided whether or not I should buy some lights like the last ones I had or if I should try for a different style but either way I know that these are lights that would be strung up every year until they die…or get killed. At this point I actually have two favorites and that is the white ones with the “ruffle” effect and the one that looks like real garland with a lighted touch. Even though they are very different I think they both look gorgeous and would match my decorating ideas for this year perfectly. Which one do you like the best? Where do you prefer to hang them? Please share your thoughts below! ← The Grinch Christmas Sweater – Is your Heart Big or Small?